First of all thank you very much for your overwhelming support and purchase about All in One Webmaster Premium. Google XML Sitemap Added. 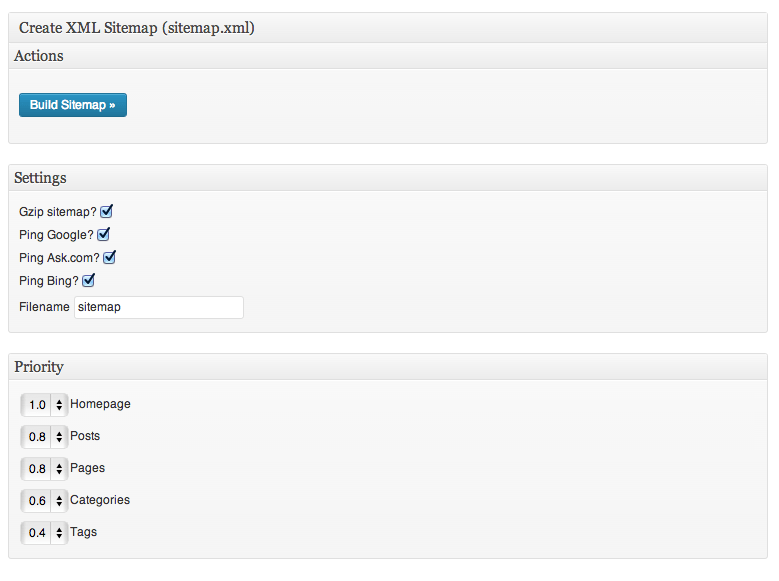 Now Plugins Creates sitemap.xml file under blog’s root directory. Automatic XML sitemap.xml or sitemap.xml.gz generation is the main addition to this release. Plugin automatically creates/ updates sitemap.xml file when you publish new post, update post, delete post or trash post. Same applies to Pages. All existing users can get latest version of this copy by following instruction mentioned in confirmation email. Please do let me know if you face any problems. After the last update I lost may contact with google analytics. No information appears in google. Can you share your blog URL? Would like to check google analytics script.